Remedial Investigation, Feasibility Study, and Treatability Study at Guam Way - Noreas Inc.
NOREAS is conducting a Remedial Investigation (RI), a Feasibility Study (FS) and a treatability study (TS) for CERCLA contaminants in soil, soil gas, and groundwater in an area known as Guam Way at the former Naval Weapons Station Seal Beach Detachment Concord (NAVWPNSTA), Concord, California. 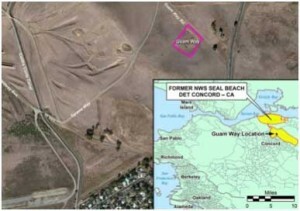 Previous investigations at Guam Way identified the presence of buried debris intermingled with material potentially presenting an explosive hazard (MPPEH). Based on the potentially significant risk to human health from lead in soil and MPPEH, the Navy implemented a Time Critical Removal Action (TCRA) in the fall and winter of 2012 to remove all debris, comingled MPPEH, and contaminated soil. The TCRA removed many items identified as MPPEH. The TCRA was unable to remove all of the soil contamination from beneath the disposal area. NOREAS is responsible for an RI to determine the nature and extent of the contaminants of concern (COCs) in soil, soil gas, and groundwater at and in the vicinity of Guam Way. COCs identified at Guam Way include chlorinated ethenes (CEs), metals, total petroleum hydrocarbons (TPH), and semivolatile organic compounds (SVOCs). NOREAS services include assessment of vadose zone soils beneath the former disposal pit, soil gas survey, and groundwater investigation. 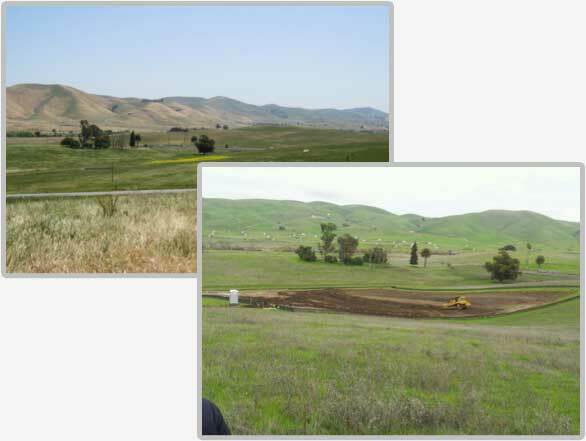 NOREAS proposed a phased investigation approach to collect sufficient soil, soil gas and groundwater data to evaluate site conditions and the potential need for further action. The RI will include a baseline Human Health Risk Assessment (HHRA) and a baseline Ecological Risk Assessment (ERA) if completed exposure pathways are identified. The RI will provide a basis for decisions on remedy evaluation performed in the FS. Additional services provided by NOREAS include biological monitoring and avoidance for protected wildlife species, including the California Tiger Salamander and California Red Legged Frog. NOREAS is responsible for an RI/FS Report that will present the results of the field activities and data analysis. The report will also present the methodology and results of the baseline HHRA and ERA and provide recommendations for further action as needed. NOREAS has also been retained to perform an abiotic/biotic TS in the area of the highest CE concentrations. Prior to implementation, applicable planning documents will be amended as needed. It is anticipated that the TS treatment area will be 50 feet by 50 feet by 60 feet deep with a treatment interval from approximately 30 feet bgs to 60 feet bgs. Additional field activities to be completed include the installation of six additional groundwater monitoring wells to monitor and evaluate the effectiveness of the planned injections. Baseline groundwater conditions will be determined through collection and analysis of groundwater samples from the wells. After baseline conditions are established, the selected substrate will be injected. Following completion of the TS, a Technical Memorandum will be prepared summarizing the results of the TS.